The pool area becomes the social center for water loving families during the summer. The Pool can also provide a quick dip for an overheated tennis player. Swimming at the Club can be as casual or as competitive as you like while safety is ensured by the ample staff of Red Cross and WSI-certified lifeguards. The 25-meter pool with a diving well and the popular smaller baby pool are surrounded by grassy lawns, flowers, comfortable lounges and chairs, and shady umbrellas. Summer holidays are celebrated family style with parties around the pool. The Club's well-developed children's swim program features a progression of group classes from novice through intermediate. Private lessons are also available for all ages and skill levels. 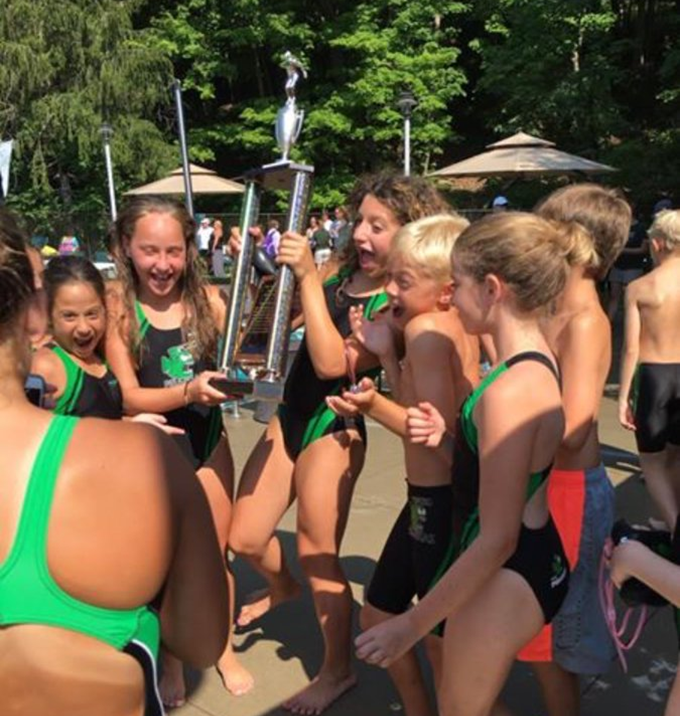 The head coach and assistants help swim team members develop competence, confidence and good sportsmanship. The swim team's season ends with the Individual Championship Meet for the entire league. Toward the end of summer, the team, coach and lifeguards have a Junior Sports Banquet along with the Junior Tennis Team. This evening of awards, dinner and camaraderie ends the summer season with happy memories. Find the FCRC Pool Rules at this link. Greetings FCRC new and returning members and welcome to summer! We appreciate all of your attention to our pool rules and safety requests; we are thrilled with our staff led by Jim Skirboll and know that it is their experience which has been the foundation of such a smooth start. With that, please know that we take safety around the pool deck seriously. We have great guards and wonderful families, but accidents simply are that-- unanticipated situations. In pools, they can have tragic consequences. If our staff asks your child to walk or to be mindful of younger children during more rough play, please parents- resist the urge to publicly question or criticize the staff. The culture that we all need to promote and have our children witness is respect for staff and safety. As with all things, we can guarantee that situations will be missed; rarely does the first person to engage in sketchiness get caught. But we all have the same goal, to avoid broken bones, stitches, head injuries and drownings. We have an amazingly active pool full of little children. Know where yours are, never leave them at the baby pool, work with staff to pass deep water tests and never teach them that the rules are silly. Thank you for helping our amazing staff make this one of the most fun places to be in the summer; if you have any private concerns please feel free to speak with Len, Jim or any of the pool committee, we are always happy to work with our members. We invite all swimmers, beginners to age 17, and their families, to join the fun of competitive swimming. If your swimmer can "swim" a length of the pool and wants to swim fast and be part of the team, we encourage him or her to join. It is a great way to strengthen skills and become a better swimmer. For parents, it is a great way to meet some of the nicest families in the Club while cheering for our young athletes. We have swim lessons for toddlers to 7 years of age. There are also diving clinics to learn proper technique to approaches, hurdles and diving. 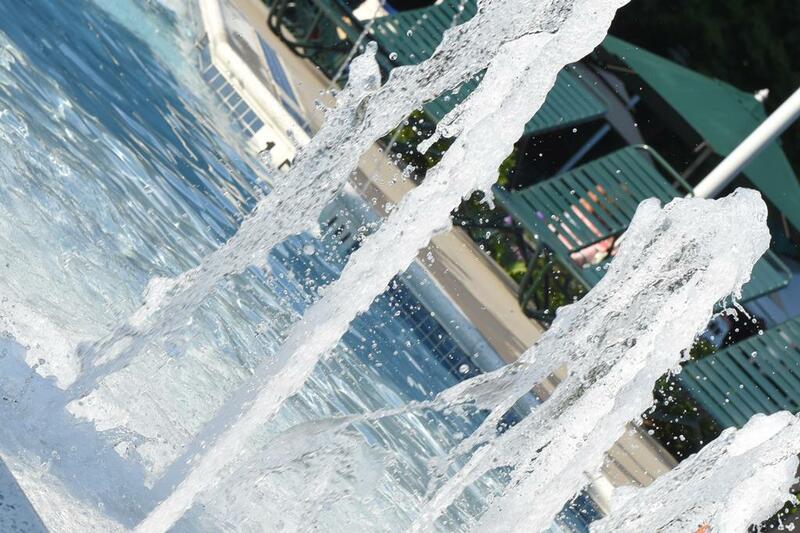 *Saturdays June 2 through July 21, pool will be open until 8:00 pm, weather permitting. Both pools will close at 5:00 pm when Piranhas host a swim meet. Weather permitting, these dates are 6/19, 6/21, 6/28, & 7/5.